Here is an excellent interview with DJI CEO Frank Wang where he talks about the early days of DJI in 2010 right up to the present and how he sees DJI well into the future. DJI are the biggest of all the consumer drone companies with approximately 70% of the market. The interview with DJI CEO Frank Wang below is less than 4 minutes. You will hear some great information from this Frank Wang interview. The interviewer from the Wall Street Journal asks some pretty tough questions regarding quality controls, customer service and hiring of international employees at the DJI. Below, you can also find information and links to the latest DJI news for both consumer and enterprise markets. We have also information on DJI Stock, Investors, Sales and possible DJI IPO in 2019. Forbes estimate Frank Wang’s net worth to be USD 3.2 Billion. Not bad since starting off in 2006. The DJI company is originally from China with its headquarters in Shenzhen. Starting in a single small office in 2006, DJI now have a global workforce of over 2,000. DJI have offices in the United States, Germany, Japan, Beijing and Hong Kong. In 2014, DJI has revenues of $500,000. For 2015, DJI are looking to double its revenues and become the first billion dollar drone company for consumers. In January 2018, DJI president Roger Luo is reported to have claimed that DJI 2017 sales exceeded 18 billion yuan ($2.9 billion). Most of these sales are thought to have been international. DJI is a privately owned and operated company so is has not listed stock on any financial exchanges. However, their is much talk about a possible DJI IPO making it stock debut in 2019. In May 2014, DJI raised USD 30 million is Series A funding from Sequoia Capital China. This is a Venture Capital firm focused on seed stage, mid stage, late stage, and growth investments in the fintech sector. In May 2015, DJI raised raising $75 million in Series B funding from Accel Partners, which is also an investor in companies like Facebook and Dropbox. In March 2018, Reuters HONG KONG announced that China’s SZ DJI Technology Co Ltd, the world’s largest maker of non-military drones, is in talks with investors for at least $500 million in funding ahead of a planned stock market debut, people with knowledge of the matter said. With the funding, set to be obtained via a combination of new equity and debt, the firm would be valued at about $15 billion, nearly double its valuation in 2015, they said. Starting out in the drone manufacturing business, Frank Wang realized, for the market to grow past the radio controlled hobby into a flourishing drone industry, drones needed to be simple, very reliable, small and reasonably priced. DJI are really very good at marketing the positive aspects of drones. All DJI social profiles share some terrific aerial photography and filming. The DJI videos on YouTube are outstanding. DJI are very active in releasing new drones, gimbals and cameras. They are also very active in the areas of assisting governments with legislation. They are also focusing hugely on gaining ground in Commercial and Industrial uses for their drones. Their latest cost effective enterprise drone is the Mavic 2 Enterprise. This new quadcopter also named the M2E is specifically built to serve industries and applications in public safety, inspection, search & rescue, fire response and law enforcement. To keep up to date with the latest DJI news, bookmark the following 2 pages. 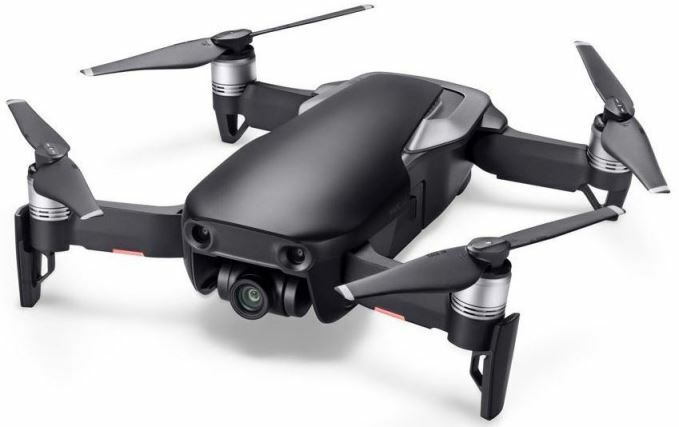 DJI produce a variety of high tech drones with the Mavic 2 Pro and Mavic 2 Zoom just released in August 2018. You can find out more in this Mavic 2 review, which has some terrific videos on all the features of these latest innovative quadcopters. The Mavic Air drone is perhaps the ultimate mini drone which was released in January 2018. It is a fun mini drone which also takes exceptional video and still shots. It takes off very easily from you either the ground or your hand. It has a quality HD camera, super stable flight, collision avoidance and autonomous flight modes for taking great aerial photos and film with you or a group of friends in view from various angles. It can fly using hand gestures and includes face recognition technology. The Mavic Pro released in 2016 is their most popular and best priced. It’s a small fold up drone which flies ultra stable both indoors and outdoors. It is terrific to fly and film with. It is also being used for 3D imaging of structures and photogrammetry. 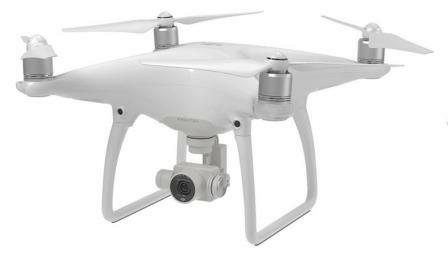 The Phantom 4 which was released in late 2016 with a number of different versions such as the Standard, Advanced and Pro. This Phantom 4 Pro has many intelligent autonomous flight modes, which make it extremely easy to fly and film with. It is heavier than the Mavic so it is better in higher winds. Many professional aerial cinematographers and photographers are using the Phantom 4 Pro for their work and the output is simply outstanding. DJI concentrate on everything from the drone right down to ease of assembly and packaging. In fact, their drones are practically ready to fly, with all the latest technology such as FPV, Waypoints and return to base safety systems. Their drones also feature the best quality gimbal brand called the Zenmuse. DJI own many patents in drone and camera technology, stabilization technology and automatic flight controls systems. The Spreading Wings multirotor drone is aimed towards the professional and commercial business who want to guarantee top quality aerial video or stills. DJI Matrice 100 drone is aimed towards developers. It is highly modular, expandable and flexible to carry various payloads such as cameras, sensors and communications devices. It’s a platform which is easy for developers to work with. The Inspire 1 and Inspire 2 are by far the most innovative drones on the market. They are beautifully designed with many new features such as retractable carbon fiber arms giving you a 360 degree view to video with. The Inspire 1 Professional has an impressive 4k UHD video camera using a micro four thirds sensor. The Inspire 1 and 2 are packed with the latest innovations in drone technology. These drones have many camera and sensor options including zoom and a thermal vision camera. In May 2017, DJI released their own FPV goggles. The DJI goggles are manufactured by SZ DJI Baiwang Technology Company Limited which affiliated with DJI Group. The DJI Goggles Racing Edition was released in November 2017. The below interviewer and translation is by Colm Murphy and Olivia Geng. Enjoy this short interview with CEO Frank Wang of DJI. Here is another terrific video entitled “How DJI Became A $10 billion drone company”. Well that was at when the video was released. DJI is now valued in the region of USD $15 billion.